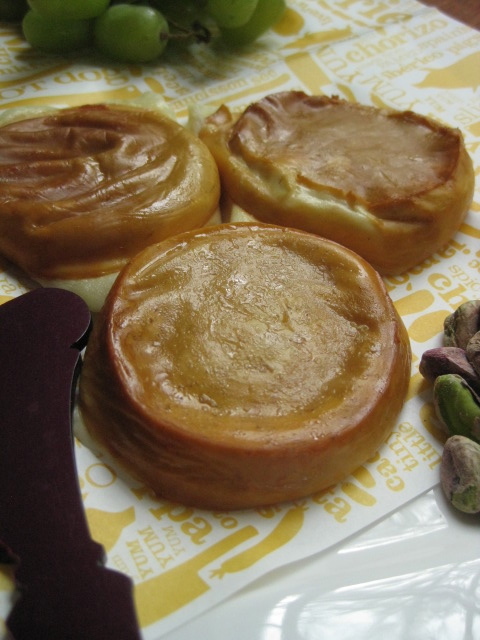 You can easily find smoked cheese which is already packaged at a store, and you might find it tasty. 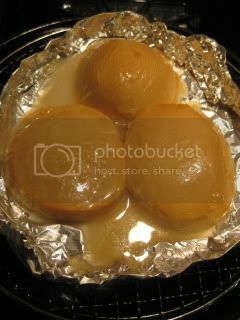 But, you can make smoked cheese very easily at home with donabe...and it tastes really special. It's so natural, so fresh, and tasting the just smoked (still warm) cheese right out of the donabe is quite exceptional! With the Donabe Smoker, "Ibushi Gin", I enjoy smoking cheese and tasting it so much. 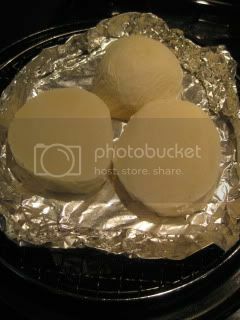 I got a dome-shape fresh mozzarella (not in a brine) this time. First, I sliced it into three disks, and in order to make the smoking more effective, I put the in freezer for half-day. This will dry the surface area for better smoke absorption but also help preventing the cheese from melting too much from cooking heat. 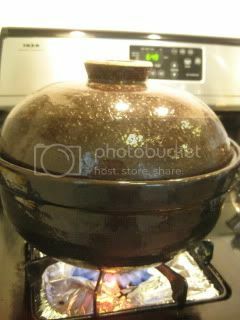 I set Ibushi Gin over high heat on gas stove with smoke chips. Once the chips starts smoking (about 6-7 minutes), I set the frozen mozzarella slices in it and cover with lid. Cheese was smoked over high heat for about 7 minutes, then the heat was turned off and rested with the cover on for 20 minutes (it will continue to smoke with the carryover heat and smoke meanwhile). The smoked mozzarella cheese was ready...so nicely colored! 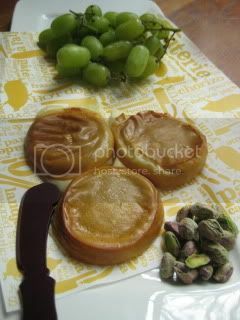 They were served with some grape and pistachio. The cheese was nicely smokey and dense in texture. Gorgeous. It's so easy and good that I hope many people will try this recipe (if you call it a recipe! ).